Paul Hutchens is CEO of Midlands-based solar specialists, Eco2Solar. He is a board member of the Solar Trade Association (STA), the UK's leading solar industry voice, and Chairman of the STA’s New Build Working Group which aims to inform governments, councils, house builders and consumers about sustainability in housing. Here, Paul discusses the quickening pace towards electrification of energy the UK, what this shift means for the grid, and how our electric future should ultimately benefit all consumers. Shifts towards total electrification can be seen across buildings and transport, and this movement is gaining pace. Looking first at buildings - the Government's Clean Growth Strategy released in 2017 recommends “phasing out the installation of high carbon fossil fuel heating in both domestic and non-domestic buildings off the gas grid during the 2020s, starting with new build.” In addition, following recommendations from the Climate Change Committee, there is widespread agreement that heating must be decarbonised in order to meet the UK's 2050 carbon targets. In terms of transport, all eyes are on electric vehicles (EVs). In 2017, the Government pledged to ban production of new petrol and diesel car sales by 2040 and more recently there have been calls to bring that ban forward to 2032. Several large car manufacturers have announced that they will shortly stop production of vehicles powered solely by internal combustion engine. Volvo will stop next year and Jaguar Land Rover in 2020. Other major manufacturers plan to release high-profile electric models, including Volkswagen who have recently announced plans to handle production of 50 million electric vehicles. The six large energy companies dominating the market are having to show unprecedented agility and flexibility in reacting to changes in sources of energy. At the same time, these companies are being challenged by the emergence of more nimble, small power generators, which can immediately smooth supply of energy supply. These small generators, often positioned in sites that experience power shortages are presenting ‘two-way' power systems where low carbon energy such as solar are complemented by energy sources like batteries and small, local power stations. These ‘pop-ups' are increasingly valuable at times of peak demand, especially as we experience more phases of extreme weather. To date, the Office of National Statistics (ONS) reports that demand for electricity has been pretty constant. In the 25 October report detailing availability and consumption of electricity, ONS notes “Overall for the three-month period to August 2018, consumption in the industrial sector increased by 0.8 per cent compared to the same period in 2017. Consumption by other final users had a 0.1 per cent increase on the previous year.” In 1997, total consumption of energy in the UK was 321TWh. Twenty years on, in 2017 we consumed just 308TWh. There are many reasons for this including the improved energy efficiency of electrical products, systems and processes. However, this is set to change. In 2017, the National Grid warned that by 2030, electric cars could require 3.5-8GW of additional capacity, on top of the current peak demand of 60GW. Another estimate suggests that if one in three cars sold in 2035 is electric, the charging of vehicles would account for 3% of the UK's total electricity demand. The power generation available at present simply won't meet this increase in demand. Short power outages for homes are disruptive, but nothing compared to the damage that can be done in industry. Pressures on the grid can result in so called ‘brown-outs': drops in voltage in an electrical power supply system. If this happens in manufacturing plants the results can be devastating, resulting in six figure damages. More and more big businesses are looking for back-ups to their supply. So, what can we do to protect consistency in supply? One answer is likely to be battery storage and smart technology. We believe batteries are going to be a big shock absorber for the changes in demand expected across both domestic and industry settings. An Energy Storage report from February 2018 states that “In megawatt-hours, battery energy storage capacities installed in the UK by the end of 2022 will be 50 times what they were as 2017 ended.” As well as solar panels, Eco2Solar install EV charging points and battery storage in new houses. We are preparing for a significant increase in demand over the coming years as individuals and companies aim to be more self-reliant. It is still early days for home batteries, but costs are starting to come down. The space is starting to get interesting, as the big six energy companies race to make their mark in the consumer solar and storage market. Smart technology is key to getting the most out of these storage solutions. In homes, smart energy systems can balance the overall electricity load, using the ‘free' electricity from the sun to run appliances at times when energy from the Grid is at its highest cost. The ability to store energy at peak times and use it at low peak will present cost benefits to consumers. Investment in out-of-home storage is soaring. Energy Storage News reports that currently, the largest battery project in the UK stand at 50 MW with Statera's Pelham Storage project, due to be completed this December. 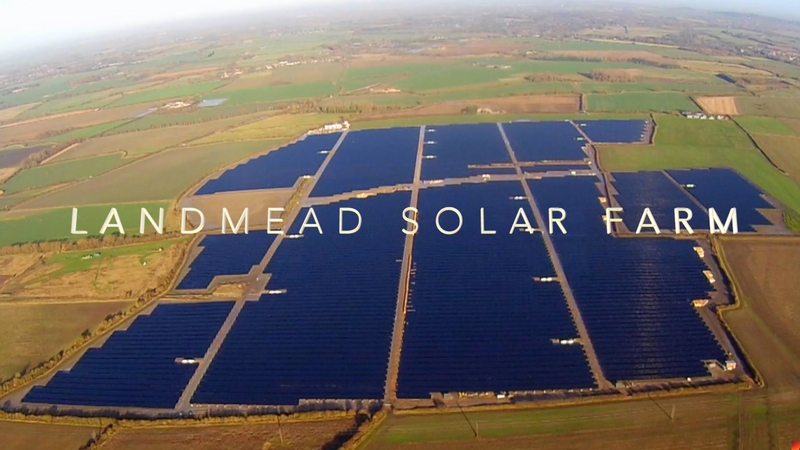 The project, near Bishop's Stortford in Hertfordshire, has the potential to provide enough power for over 13,000 average UK homes at any time. Drax have also announced plans to build a 200 MW battery storage project in North Yorkshire. Taking energy demand out of the National Grid and localising it presents some interesting challenges to the utilities sector. Less than 40% of an energy bill is the wholesale cost of the energy, the remaining 60+% covers network costs, operating costs etc. As the sources of electricity production change, infrastructure changes are needed, and the cost of electricity distribution will increase. This means bigger bills. As bills increase, more consumers and businesses will choose to capture and store their own electricity, effectively becoming ‘off grid'. This creates something of a spiral effect in the utilities market. Investment in the grid is necessary to ensure supply consistency, but each user that comes off the grid reduces the grid's ability to absorb these costs - and the increased costs will be passed on in increased energy bills for those still needing connection to the Grid. This dynamic is going to be very difficult to stop once it builds momentum and creates significant problems for the utilities sector. Self-sufficiency in energy generation is welcomed but the safety net of a centralised electricity resource is also important. The recent influx of smaller energy companies is disrupting the market. There are now 60+ energy suppliers in the UK market - a fourfold increase compared to a decade ago. These energy providers have been credited with opening up competition in the energy space, leading to better deals for customers and much-improved switching rates. More than half a million customers switched to different electricity suppliers in September 2018: the highest number of switches in a month so far this year. And start-up energy companies such as Octopus and OVO energy are offering 100% green electricity, allowing consumers to choose energy solutions which are aligned to their environmental concerns. Peer-to-peer energy trading is also a model that is set to benefit end users. The model which is still in development, will allow for producers and consumers to trade electricity directly, rather than selling to, and buying from the grid. In addition, the advancement of battery technology and cheaper batteries is going to allow more consumers and businesses to install more effective, smarter battery systems on their premises. Just think what the batteries in laptops were like 10 years ago. Battery units are now cheaper, lighter and more efficient. These great advances in battery technology are likely to benefit consumers in and out of home. Electrification is gaining pace, and this represents an opportunity for significant reductions in energy bills for consumers. The process is not going to be without challenges, and it is going to be interesting to see which of the energy companies thrive and which fail to keep the pace. In the meantime, focus on off-grid energy solutions like solar greatens, and we're already seeing increased interest in the battery storage solutions. We are looking forward to working with more house builders as the shift towards electrification quickens and demand for sustainable solutions continues. Paul Hutchens is CEO of Midlands-based solar specialists, Eco2Solar. He is a board member of the Solar Trade Association (STA), the UK's leading solar industry voice, and Chairman of the STA’s New Build Working Group which aims to inform governments, councils, house builders and consumers about sustainability in housing.